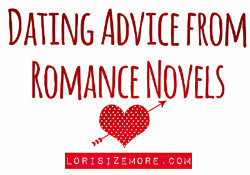 I finished reading Prince Lestat a few weeks ago and while there weren’t a ton of dating tips, there was enough of a romance (human, no less) for me to glean some advice. It’s helpful if your vampire father, who doesn’t know you exist, randomly saves and raises a human female who is both incredibly sheltered and had more bad stuff happen to her than anyone else in the history of ever. Don’t date your professors. Don’t date crazy men. Don’t date narcissists. This is all one tip because that was all the same guy. Also: avoid Drano. Human beings don’t fly. Not a dating tip, but come on. You may be too smart for your girlfriend if she doesn’t know tip three but you manage to escape two super powerful vampires by wits alone. You should both become vampires? Why the hell not. I’m out of advice here. Clearly, this was not my favorite coupling.